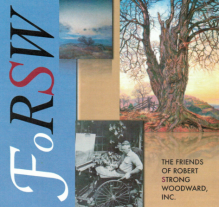 RSW- Artwork page, "West Glow"
First painting of 1923 and after the burning of Redgate. For more about the Redgate Studio, see our Scrapbook page. See also When The Sun Rides Low for another view of Purinton Hill and the farm this barn belongs too. 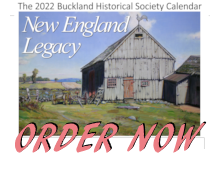 See also Under the Hill for another view of Purinton Hill and the farm this barn belongs too. "First painting of 1923 and after the burning of Redgate. Painted for Salmagundi Club Exhibition and Auction sale Jan & Feb. 1923." Editor's note:The Salmagundi Club of NYC orginated as a sketch club and evolved into an organization of illustrators and artist. Woodward began his art career in illustration before turning to oil paintings. 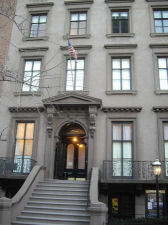 The Salmagundi Club was one of the first professional organizations he would retain a membership with throughout his career. For the longest time, West Glow was believed to be the painting now listed in the Unnamed Gallery(see right) as Unnamed 38. That painting was purchased in New Haven, CT from a gallery many years ago and the current owner has no confirmation of its name. This painting, however, is clearly the correct painting. As you can see from the images below, it is both signed by RSW and on the back stretcher, still attached, is a Salmagundi Club label with name an the size written in pencil. We have only 4 known vibrant western skies paintings or artwork done by Woodward. He once expressed in a letter to a friend that he preferred the color and skies to the south during a sunset. To the left is another painting (unnamed) from nearly the same perspective but closer (believed to be from the The Little Shop), showing in greater detail the farm across the road and Purinton Hill in the distance. 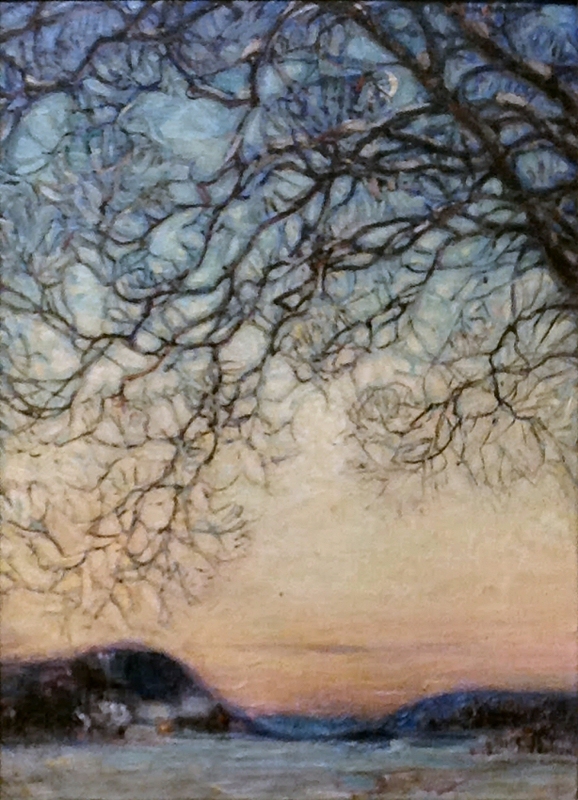 In this painting the sky is also a modestly pink hue of a setting sun. Unnamed 14 was painted much later than West Glow. Probably sometime after the 1930's, when RSW's technique matured to a more refined and delicate brush stroke. Please visit Unnamed 14 where we provide a topographical map illustrating Woodward's vantage point from The Little Shop, as well as, the locations of Burnham Cottage, and the Hiram Woodward Farm.